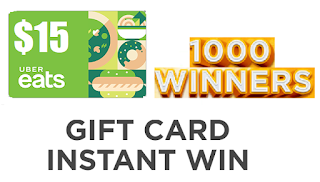 $15 Uber Eats Gift Card Instant Win Giveaway - 1,000 Winners. Daily Entry, Ends 4/24/19. GOOD LUCK! !